Here’s another installment in my occasional series of capsule reviews; today it’s prog, ambient, worldbeat and acoustic. I had a huge stack of CDs deserving of review, but time doesn’t allow for full-length reviews of everything, and these were beginning to gather dust. They deserve better. My self-imposed limit for this particular exercise is 150 words on each album. From Stockholm comes this self-described neo-prog duo (Well, a duo of a drummer/bassist/vocalist and a singer/guitarist, augmented by a cellist). Typical of progressive rock, there’s plenty of drama, emotion and atmosphere, much of it conveyed instrumentally. The vocals here are often (but not always) used more as a textural element than as a means to deliver lyrics. It’s not necessary to be “discovered” by a tastemaker, but it rarely hurts, and Under the Psycamore was discovered by no less a luminary than former King Crimson touch guitarist Trey Gunn (he mastered and mixed I too). Guitarist Carl Blomqvist favors clean, acoustic picking over power-chording, and as such I takes on a dreamy, introspective feel through most of its eight tracks. 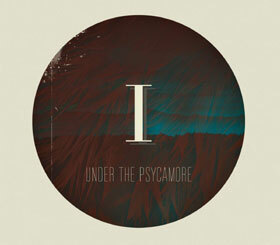 The Enneagram in the album artwork probably means something; not sure what. But the emotional quality of the music will draw you in no matter what it all means. I’m a rock’n’roll guy from way back, but beginning in the 80s, I discovered – and became quite intrigued with – ambient music. Now, the brand I discovered relied primarily on synthesizers and other electronically-based instruments, but even then I understood that the form allowed a much wider sonic palette than that. 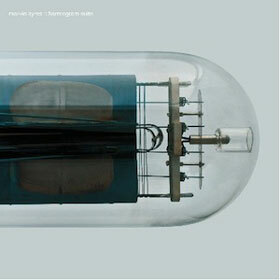 Marvin Ayres‘ work relies solely upon cellos, violins and violas to shape its sonic landscapes – six movements in all – and perhaps it’s the way the whole thing is produced, but the listening experience is so enveloping that you may (as did I) quickly stop thinking about (or caring) what’s making the sounds. Though it’s much more placid than Glenn Branca‘s music, Harmogram Suite does bear some similarities. Most notable among these is the way in which sounds seem to come out of nowhere, created (I assume) by the overtones of the instruments that are present. Recommended. Uh-oh: A concept album from a progressive artist. No fear: although the purported story line of Subterranea concerns what the liner notes describe as “an imaginary, surrealistic and utopian society,” the album is largely instrumental. And Mehran is a flamenco guitarist, so while the backing musicians provide string synth pads, electric bass and drums, there’s an undeniable worldbeat flavor to the proceedings. The lovely melodies have their basis in popular, melodic arrangements, and the new age vibe that pervades much of the music is leavened by the solid rock ensemble backing. (Mehran makes a point of letting the consumer know that those musicians created their own parts; no musical dictator he.) 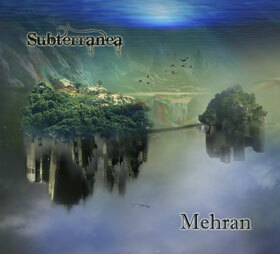 Imagine something halfway between the (admittedly popular) airball sounds of, say, Mannheim Steamroller or Kitaro and something much more dour and substantial, and you’ll find the something approaching the best of both worlds (so to speak) in Subterranea. I’m not a student of “serious” music, so guitar virtuosi outside the rock spectrum often (if not always) escape my notice (I only “discovered” Wes Montgomery and Buckethead in the last year or so!). 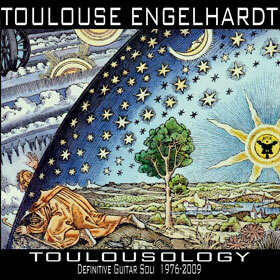 So it’s no surprise to me that I had never heard – or heard of – the work of acoustic 12-string guitarist Toulouse Engelhardt. He’s released eight album between 1976 and 2011, and recently compiled this career-spanning best-of. The nature of acoustic-based music such as this – built around Engelhardt’s finger-style guitar – is that it’s pretty damn well timeless. Thus, there’s nothing “dated” about the earlier pieces on the album. They all flow together nicely, taking in elements from various styles. “Revelations at Lunada Bay” would sound right at home on Led Zeppelin III, for example. Engelhardt synthesizes many styles, no mean feat when you’re working with just a guitar.